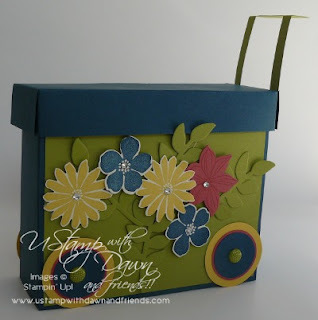 I was asked to be a guest designer for U Stamp with Dawn and Friends for this session: Grow Creative Love 2013. Each session has a different them or focuses on a specific catalog. Well, this session has the bonus of two catalogs! I just love the sets and paper in Sale-a-bration this year (I think I said that last year too! LOL!) 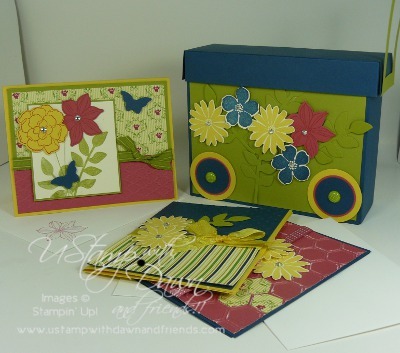 and I adore all the stamps and papers and accessories in the mini catalog. I chose to make a box of cards that looks like a Garden Cart. I used the Secret Garden stamp set with the matching framelits. The box holds 6 cards -- each one is different. If you'd like the directions, as well as directions for at least 39 other projects, subscribe today using the link above! All projects have a photo and a full, downloadable PDF that you can save to your computer for a rainy day! Well, we survived Nemo here in Boston -- my kids are back in school even if Boston is still out today! The snow has to go someplace and most multi-lane roads in the city (not the major highways thankfully!) are still one lane each way. I had to work all weekend -- Luckily I had Friday night off, but spent all day Saturday shoveling, preparing to get the car out of the garage and onto the road. The weather is starting to warm up but there is significant piles everywhere. Merging onto the main highways is tricky with the high banks but at least traveling is safer now. We ended up with about 24 inches -- hard to guestimate with the wind which drifted things. I never did share the winter/snowman cards we made in class a few weeks ago. I had one lady come this week yet to finish up a kit so the cards/stamp sets were out, making me want to share them with you. I used the Stylin' Snowfolk and Snow Much Fun stamp sets for 3 of the 4 cards. The last card was made with the retired (it was the adorable set in the Holiday "Mini" catalog) Wonderful Winterland stamp set. 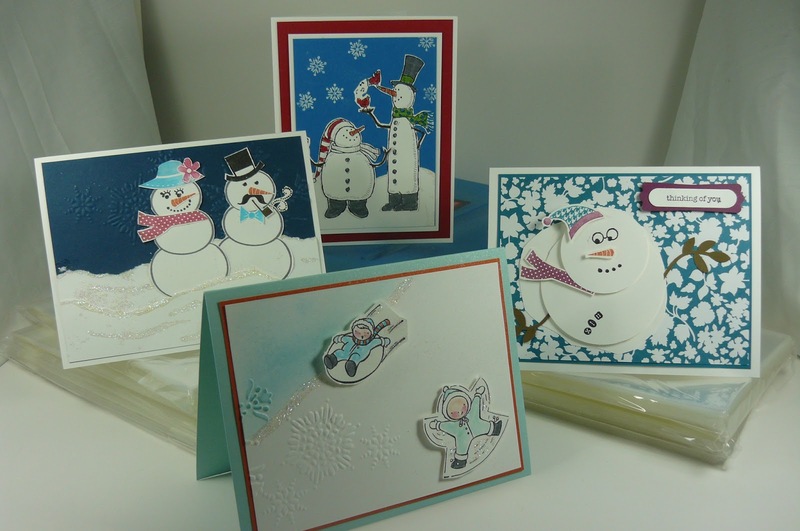 I used the Northern Flurry embossing folder for 2 of the cards -- just love those big snowflakes!! Lots of cutting with these cards but boy, were they fun!! 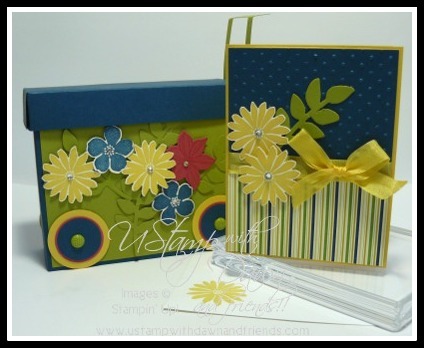 I especially love my "Mr. & Mrs." card top left and the front Winterland fun card. It almost reminds me of the neighborhood this past weekend except that the snow was a bit deep for sledding. It was great snowman snow though! We didn't make a snowman but my son had a blast making snowballs and hitting the house or us while he was supposed to be helping us shovel!!! I'm thinking the card at right is what a snowman will be looking like in the next few days here -- not exactly a heat wave but above freezing every day during the day never-the-less.